Hyundai Motor America is reporting that U.S. Hyundai June sales reflected the company’s best June in its 28-year history. In addition, Hyundai experienced its best opening six month period it has ever had, with 364, 434 units moved over the last half a year. In June specifically, Hyundai moved 67,407 models, compared to 65,007 last June. “As we settle into the summer selling season, we are well-positioned with our full model lineup, including the all-new 2015 Genesis sedan and Sonata, both of which experienced gains for the month, up nine percent and 30 percent, respectively,” said Bob Pradzinski, vice president of national sales, Hyundai Motor America. 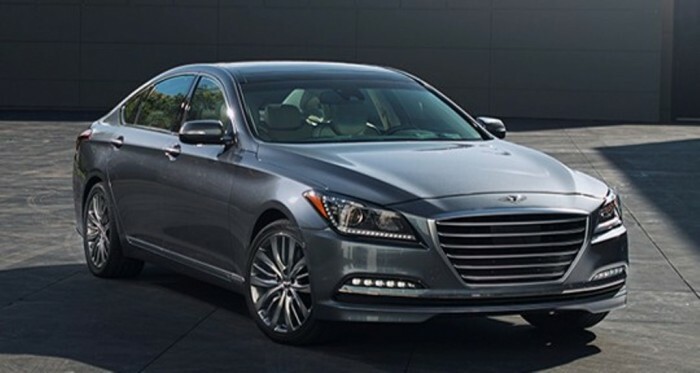 The 2015 Hyundai Genesis pulled in great numbers for Hyundai June sales this year. Specifically, the Accent was up 9 percent for the month and 16 percent for the year, selling 5,720 units in June and 34,264 so far this year. The Sonata sold 25,195 units in June, the Elantra 17,168, the Santa Fe 8,930, the Azera 705, and the Tucson 3,776. In addition, Hyundai sold 2,554 Veloster models last month, 3,109 Genesis models, and 250 Equus models. In addition, Hyundai set a June record with Certified Pre-Owned vehicles, at 7,324 models moved, up 8 percent over last June and 23 percent for the first six months of 2014.